We bring you information on Fifa world cup groups. Football’s biggest event kick-offs in a couple of days. Russia will be witnessing the biggest festival in the most famous and biggest sport in the world with the biggest footballing nations battling it out for the coveted golden trophy. With defending champions Germany going in as the favourites, they will be facing tough competition from the likes of Brazil, Belgium, France and Argentina in a quest to retain their title. 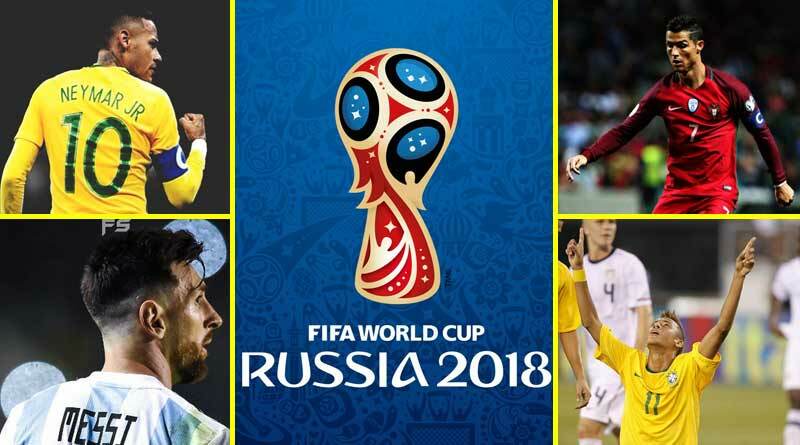 We bring you all the Fifa world cup groups from A-H and the teams that look likeliest to progress to the round of 16. The group features hosts Russia, Saudi Arabia, Uruguay and Egypt take on each other. We predict Uruguay and Salah lead Egypt to progress from it. Portugal and Spain are the clear favourites to make the way into the round of 16. This group is a little tricky. While France are 100% sure to progress, any one of Peru and Denmark could see themselves reach the next round. Argentina and African side Nigeria who are making a record ninth world cup for an African side should reach the next stage according to us. The group of death in this year’s world cup sees some of the best nations clash against each other. While Brazil’s quality should see them through easily, Croatia, Switzerland and Serbia will face a tough battle for the second spot. Current world champions Germany and Mexico will make the knock-out stages. The most straight forward group will see young and exciting sides England and Belgium qualify. The last match of England v. Belgium will be the highlight of this group. Poland, Senegal and Colombia will have a three-way battle for the top 2 slots leaving behind Asian side Japan in their dust. This could turn out to be really embarrassing for Japan. Stay tuned for more updates on Fifa world cup groups and FIFA World cup 2018 matches.